Dolphins are intelligent and capable sorts, and thus have been popular as recruits for aquatic military tasks such as seeking out mines and submarines. 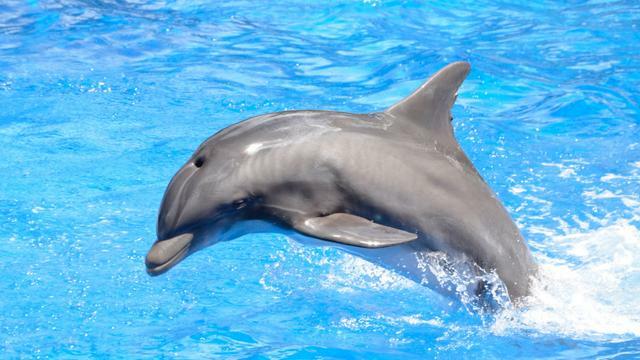 Both the U.S. and Russia have used the animals in the past, particularly during the Cold War, and it appears the latter nation is building up its dolphin army once again. According to a document posted to the Russian government's website, the country's military is looking to purchase 5 of the bottlenose variety, reports CNN. The requirements specify the dolphins must be between the ages of 3 and 5, have excellent dental health, and "should display motor activity." Russia has put forth an initial offer of roughly $24,000. Also stipulated in the call for bids are requirements that the dolphins be obtained in the presence of specialists and be humanely transported in seawater-filled tubs. Delivery is expected by August 1st.